It is obvious to say Gurgaon is the sought after destination for investment, in other words, Gurgaon is the hot investment location. Here rapid developments are taking place every year and this has increased the value of Gurgaon where top notch Indian builders like Vatika, DLF, Godrej Properties, EMAAR, Sobha LTD and more have shown its major contribution in changing the developments and presenting the quality option to the investors and home buyers. 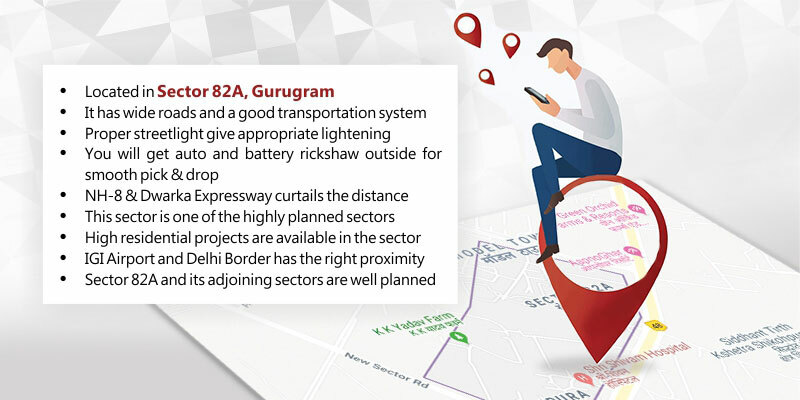 What makes Gurgaon as an ideal Location? So, if you have any investment plan in Gurgaon, keep that idea and select the best property to be on a profitable side. As you know it is a true hub for business and after the great success of commercial projects like 83 Metro Street Gurgaon project in sector 83 Gurugram offering retail space, food courts and office space and KPDK Best Western Townsuites (offering studio apartments). And now there is another smart commercial project “Vatika Market Walk” in sector 82A, Gurgaon that comes with retails shops and food courts space in a single tower that is beautifully conceptualized. Vatika Group added this smart commercial property in Gurgaon to bring a perfect opportunity for the investors and business players who want a space that gives them the right customers and high return over investment (ROI). So, all these benefits are added to the Vatika Market Walk to add another business hub in Gurgaon which is considered as the best shopping centre holding all international brands. If you are looking for a business in food, electronics and clothing, then this gives you the right platform because it is surrounded by many residential projects where for the local this will be the big time shopping centre. So be an owner of one of the hot commercial properties and boost your business & investment both immensely.